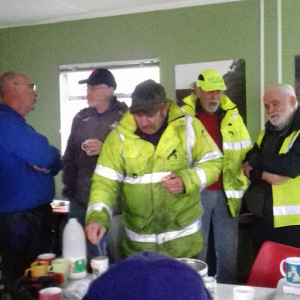 This week the weather caught up with us and the rain came down, but you can’t keep a good team down and fifteen eager volunteers set to work. 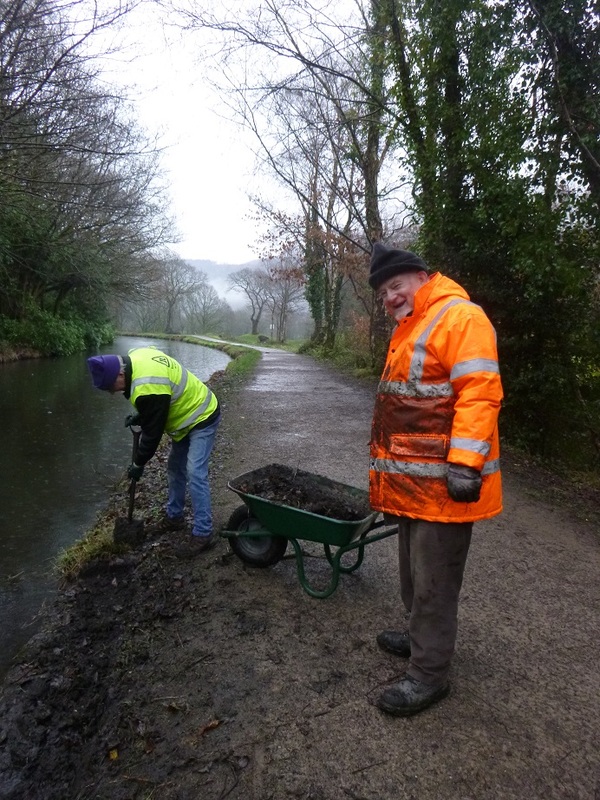 Volunteers Alan and Michelle headed up to Pontardawe to investigate a fallen tree in the canal. 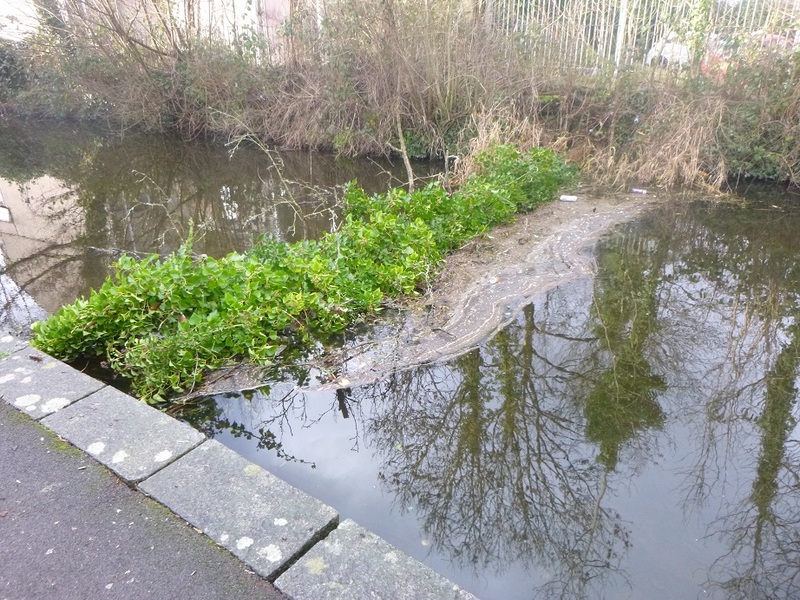 The photo shows the ivy-covered tree spanning the width of the canal and already collecting rubbish and detritus. 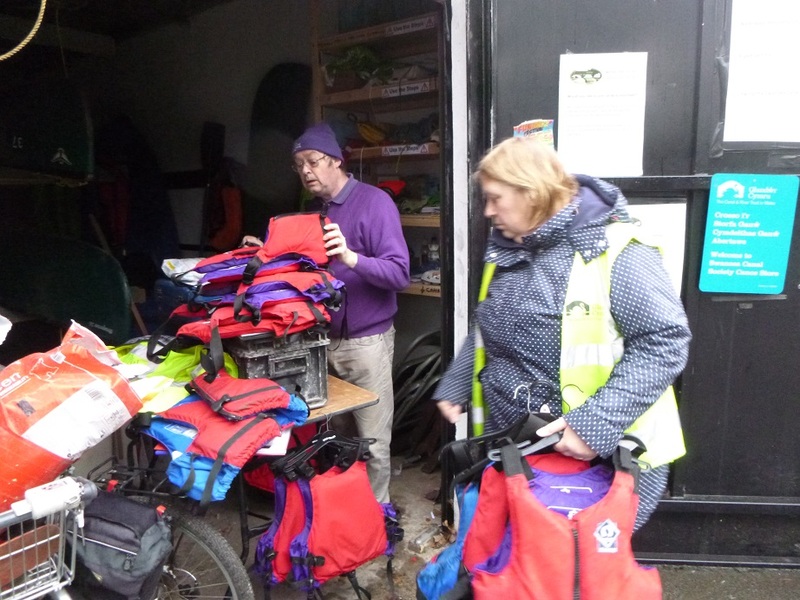 They made the area clean and safe, quickly realising that assistance and lifting gear would be required. The Canal and River Trust has been informed and the situation will be dealt with promptly. Meanwhile, down at Coed Gwilym Park in Clydach, Alan and John continued the repairs to the canal bank along the towpath. 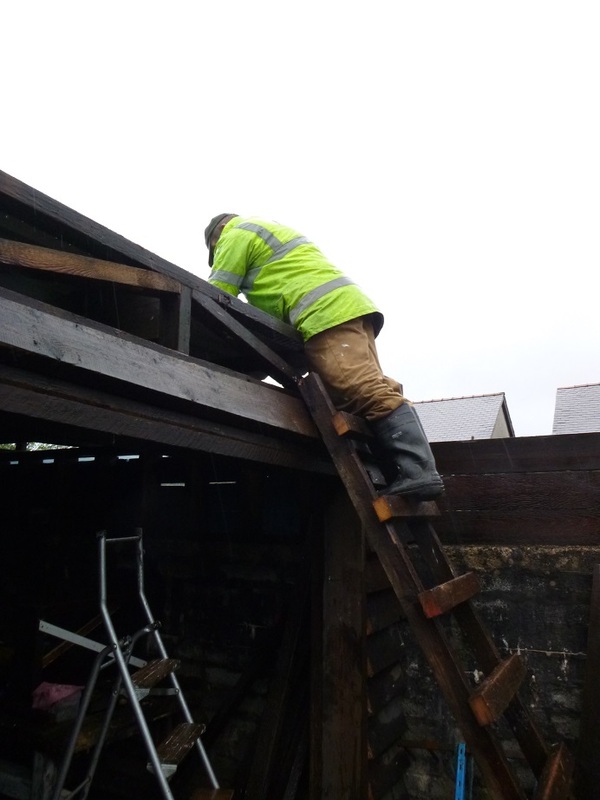 They prepared the foundation for a set of steps that will make a lovely stone feature and will allow people to dis-embark from a boat, should the need arise, and free passage for wildlife in and out of the canal. 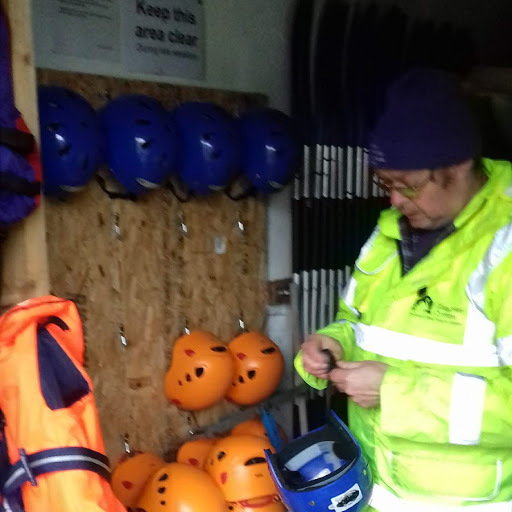 At our canoe and kayak centre in the park, Mike and Ronnie were conducting a meticulous pre-season ‘fit-for-purpose’ safety check of all the life jackets, buoyancy aids and helmets. Soon they will do the same with the boats and paddles. The safety and well-being of all our water craft users is paramount. Further work was also being carried out by volunteers on the society’s implement store down at the Hidden Lock in Clydach. Alan was busy cutting 75mm x 50mm noggings for the roof timbers, while Gordon and Gareth fitted the box profile sheets that form the roof. 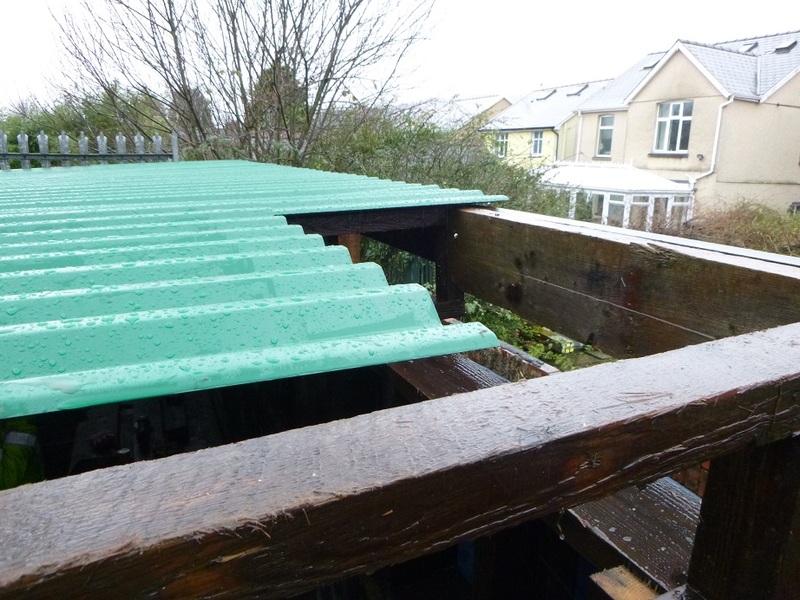 This 5 metre by 4 metre out-building has been constructed by the volunteers using re-claimed timber. And finally, in the warmth of the site office, Martin, Gill, Paul, Sue and Andy knuckled down to the arduous task of folding information leaflets. No photograph as they were so embarrassed to be secreted in the warm! We all then met up for tea, coffee and pleasant conversation. 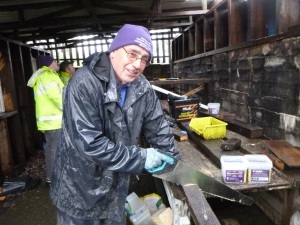 It was a vindication of the positive benefits, sense of well-being and camaraderie that results from volunteering. Thank you team. Hi, I love reading these emails so I can keep up with the news,I also love the humour in the text. We will be down in Wales after the 7th February so see you soon. Such a wonderful turn out on a cold and rainy day. And so many different tasks being accomplished.